If you haven’t been to Israel in the last ten years, you would be pleasantly surprised to see it today. Of course, all of the ancient sites are still as amazing as ever. 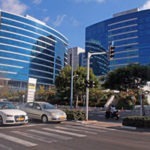 Modern buildings in Herzliya, Israel. A modern tram located in old Jerusalem. What is going on, however, is nothing less than a systematic transformation of what was already a really great country. 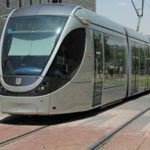 Specifically, new state of the art highways are increasingly criss-crossing Israel, along with both light railways and soon, high-speed lines. Everywhere one looks, there are trees, flowers and vibrant crops growing among beautiful infrastructure. And the cities of Israel are adding high-rise apartments and office buildings at a dizzying pace. 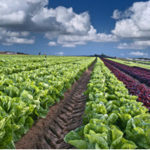 Lettuce field in the Sharon region of Israel. I have been to Israel many times, beginning in 1987. I can tell you what was then a beautiful diamond in the rough is now a dazzling jewel in the desert that blossoms as a rose. God is faithful to all of His promises. And the promises He has made to Israel are being kept! This is so exciting to see in our life-time. Plus, it is faith-building as it helps us believe for the many additional wonderful promises He will soon be fulfilling. Though Israel is prospering, a fair amount of His people are left behind and in need. It is a privilege to be part of blessing and sowing God’s people into this marvelous, miraculous Land.